Tom Brown and head bartender Mick Perrigo partnered up to open Left Door, adding another worthy destination to the bustling 14th Street scene. 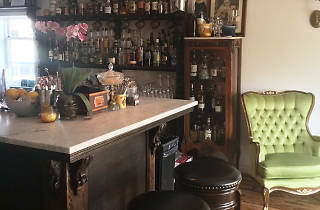 Tucked away behind an unmarked door and up a staircase is the lounge space, likely filled with people looking for exciting cocktails, low key vibes and good conversation. 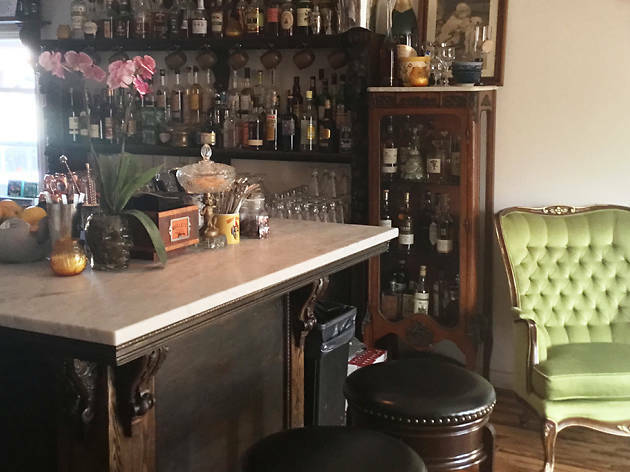 The bar is somewhat reminiscent of a comfortable home parlor, just one that happens to be replete with vintage spirits and high-end ingredients from across the globe. The cocktail menu is updated frequently, offering a pleasant excuse to continue returning.